The pendant capitalizes on our mobile lifestyle to find a niche on your chest. 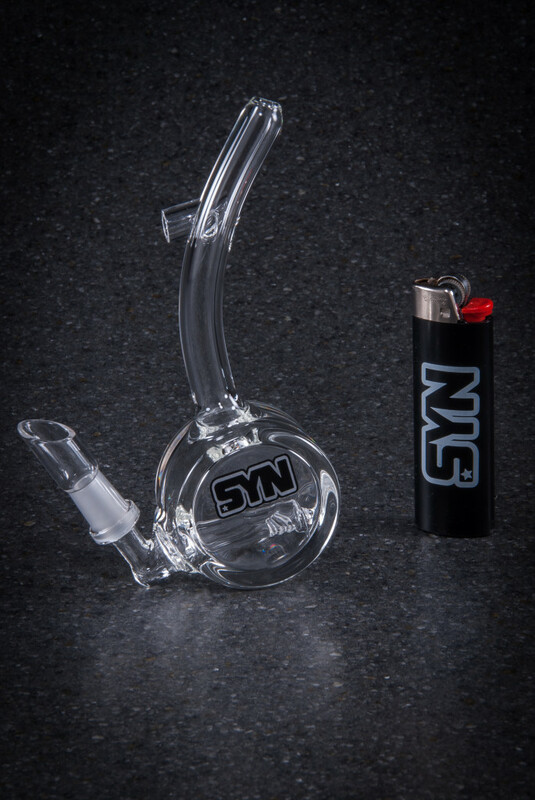 This inline bubbler is balanced to sit perfectly level on a lanyard or necklace. Low diffusion means you will get the most out of this pint sized ripper. The loop hole is boro also, ensuring the design works as intended despite the wear and tear of being worn. A 10mm domeless nail goes great with this tube.